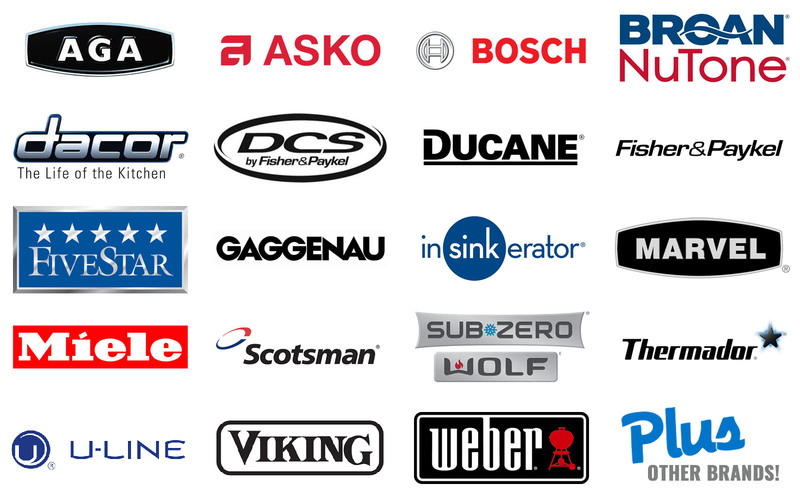 Appliance repair on all brands plus warranty service - fast! We come to you quickly and diagnose your appliance. It doesn’t matter what brand it is, or where you bought it, we repair any major household appliance. Just text or call to set up an appointment. We’ll come to your house fast – usually the same or next day. There is a trip/diagnostic fee to cover the cost of getting a qualified and trained professional to your home to assess your appliance. Our Service Recommendation is based on over 25 years experience in appliance repair. After we figure out what’s wrong with your appliance, we will then provide you with a service recommendation. This recommendation will include the total cost of appliance repair as well as any parts you may need. With over 25 years experience, we confidently and competently give you an honest assessment. Then we work with you and determine the best plan. Appliance repair for all brands. We service all of Beaufort and the surrounding Low Country from Bray’s Island, to Spring Island, to Fripp Island, as well as everything in between.